Acme General Contracting is a multifaceted company providing a wide range of services to homeowners, business owners, and apartment owners/managers. We are prepared to help you now, whether you have a small remodeling project or large renovation plan for you property. As a member of the MHA, Minnesota Multi Housing Association, Acme has served property managers and owners for over 30 years. 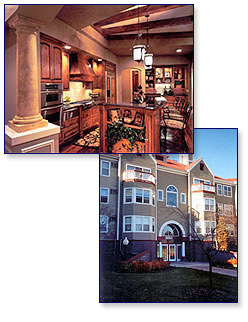 We're experts at handling apartment turnovers and full apartment remodeling. Painting is our expertise. Interior & exterior painting of all types, sheetrock repairs, texturing & staining, and much more are available by our well trained painting crews. We're at your service with emergency response to any fire, flood or water intrusion disaster. Immediate clean up, rebuilding and restoration are all within our means. We'll work directly with your insurance adjustor for your utmost satisfaction.